Have you felt the luscious and cozy feel of Koigu Othello? 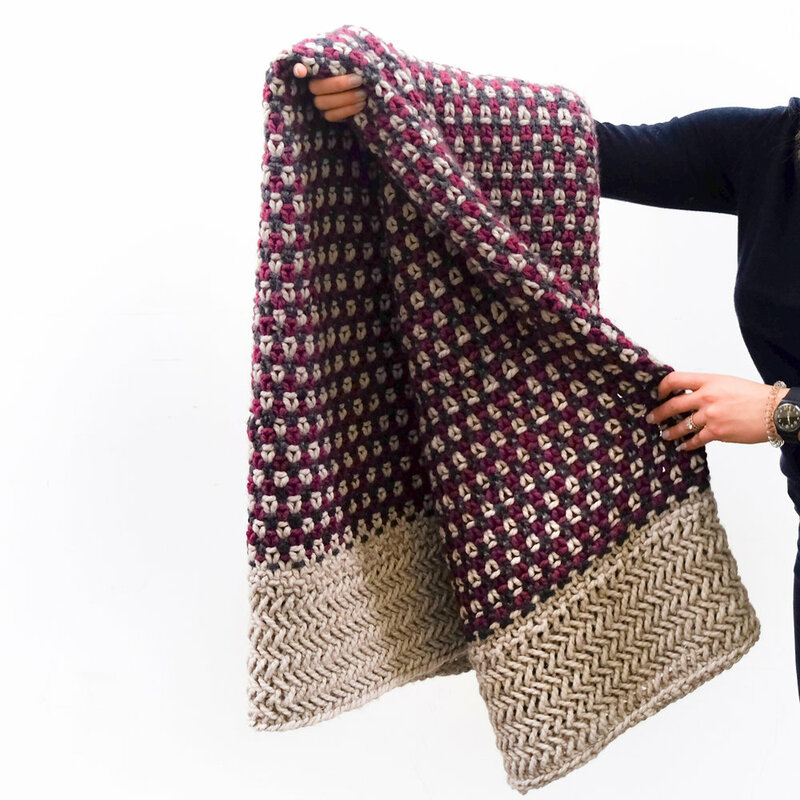 Alison at La Reserve Design designed a beautiful blanket knit in Othello for Koigu’s Vill! Read more to learn about her creative maker process! What are some facts about you? Hi! My name is Alison. I am based in Montreal, Quebec, Canada where I was born and raised. About a year ago I left my day job as a textile designer to pursue my handmade knitting business full time. My favorite things to make are thick, warm blankets. My grandmother gave me a handmade blanket when I was born that followed me throughout most of my childhood, become a reminder of home in my college bedroom. I love making blankets because I can imagine them being used again and again by their owners, moving with them throughout different stages of their homes and lives. What started you to Knit or Crochet? My grandmothers both taught me to knit as a child and I knit on and off my whole life. I really picked it up again in my teens and have been perfecting my craft ever since! How many years have you been crafting? About 14 years! How has knitting or crocheting affected your life? Knitting has been such a fulfilling part of my life. When I was working as a corporate textile designer, designing my own knitwear provided me with a creative outlet I so needed to provide balance in my life. The craft allows me to connect with my own two hands and to work on projects that I am passionate about creating and sharing. Knitting has also allowed me to connect with such a vibrant handmade community from which I have made real life connections and friendships. Whats your favourite stitch? The herringbone stitch! Its a little sticky and slow but it always grabs my attention and I love the dense woven end result! Who is your designing idol? Alexandra Tavel who runs the knitwear shop 'Two of Wands'. Her designs are always so unique and her ability to make unique collections every season is very inspiring! Who do you make for most? Customers! I rarely make things for myself anymore. My husbands likes to tease me because the blanket on our couch is from Ikea. I usually do some selfish knitting in the summer when the shop is quieter. Whats your ideal knitting or crocheting environment? It really depends on my mood. Sometimes I crave quiet time and a comfortable space while other days I like to go to a coffee shop with a lot of bustle and movement. Usually larger projects tend to keep me tied to my quiet studio while the more mindless ones I like to do while on the go. What is your favourite project you have ever created? It's always hard to pick favourites! I recently made a multicolour blanket with a herringbone border that I really enjoyed making. Colour work is not something natural to a two sided garment like a blanket, so I was really excited to see this piece come together in a reversible way! Is there any form of crafting or making your interested in trying? Macrame! I like the idea of making large scale items that act like statement pieces in your home. What are you making now? I'm working on a blanket for an order in the shop. 90% of what I work on is blankets-- I can't complain!